CRAZY COOL GROOVY!!! 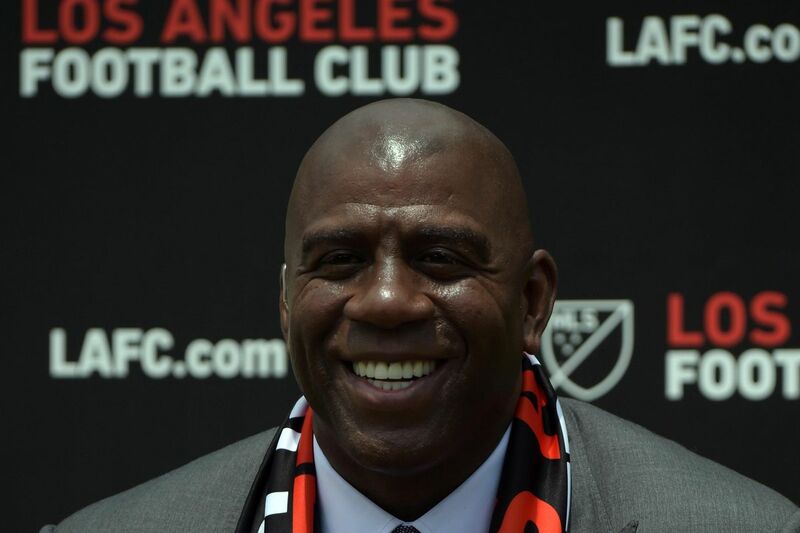 : MAGIC JOHNSON Is EXCITED ABOUT LAFC PLAYING At BCS!!! MAGIC JOHNSON Is EXCITED ABOUT LAFC PLAYING At BCS!!! 6'9" 5-Time WORLD CHAMPION LOS ANGELES LAKERS Point Guard #32 EARVIN MAGIC JOHNSON is LAKERS President of BASKETBALL OPERATIONS, an owner with the LOS ANGELES DODGERS, and; now an owner with the three-year-old LOS ANGELES FOOTBALL CLUB (LAFC)!!! MAGIC speaks on his enthusiasm for the organization, team, and city of Los Angeles, as they prepare for the LAFC to play their first home game at the brand-spankin' new BANK Of CALIFORNIA STADIUM. Shots from the new stadium.